The Government of Peoples’ Republic of Bangladesh promoted Mr. Md. 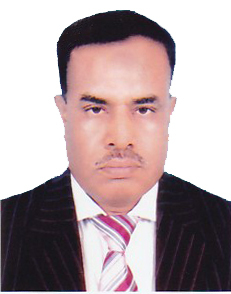 Mosaddake-Ul-Alam as Deputy Managing Director on 11 July 2017 and posted him in Investment Corporation of Bangladesh (ICB). Mr. Md. Mosaddake-Ul-Alam appointed as the Chairman of the Board of ICB Securities Trading Company Limited. Mr. Md. Mosaddake-Ul-Alam did his B.Com (Hon’s) & M.Com. in Accounting from Dhaka University. Mr. Md. Mosaddake-Ul-Alam started his career as a Senior Officer in Janata Bank Limited in 1985. During his long service career, he served that organization in different capacities at different times. 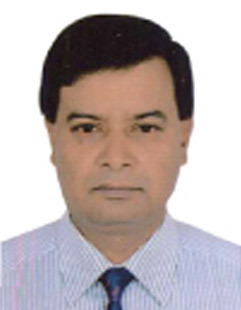 Mr. Muhammed Iqbal Hussain is the General Manager of Investment Corporation of Bangladesh (ICB). He obtained Bachelor of Science and Master of Science degree in Economics from Jahangirnagar University in 1982 and 1983 respectively. He completed Banking Diploma (Part-1) from the Institute of Bankers, Bangladesh (IBB). The Government of the Peoples' Republic of Bangladesh promoted Mr. Muhammed Iqbal Hussain as General Manager on 07 November 2016 and posted him in ICB. Then the Government posted its General Manager in ICB Securities Trading Company Limited (ISTCL) in the capacity of Chief Executive Officer. Mr. Muhammed Iqbal Hussain took the charge of ISTCL in 10 November 2016. He also acts as the Company Secretary, Compliance Authority and TREC Representative of the Company (ISTCL). Mr. Muhammed Iqbal Hussain started his career as a Senior Officer with ICB in 1987 and was posted in the Central Accounts Department. He worked in that department along with Audit & Methods and Securities Reconciliation Department for 7 years. Then he got promotion in the rank of Senior Principal Officer. In that capacity he worked in Chittagong Branch, ICB. The Corporation deputed Mr. Muhammed Iqbal in its subsidiary company ICB Capital Management Limited, Chittagong Branch as the Branch In Charge from 2003 to 2007. After that the Corporation promoted him to the rank of Assistant General Manager in 2007. In that capacity he served the Venture Capital, Secretaries and Leasing Department respectively. In 2010, he was promoted to the post of Deputy General Manager (DGM). As a DGM, he made valuable contributions in the Credit, Leasing, Internal Control and Compliance as well as Administration Division. Mr. Muhammed Iqbal Hussain also served the Sylhet Branch, ICB as Branch In Charge in 2015. The Government of Peoples' Republic of Bangladesh promoted Mr. Mohammad Shahjahan as General Manager on 07 November 2016 and posted in ICB. Mr. Mohammad Shahjahan has been appointed as a Director of “ICB Securities Trading Company Limited” in November 2016. He did his B. Com & M.Com. in Accounting from University of Chittagong in 1982 and 1984 respectively. He completed Banking Diploma (Part-1 & 2) from the Institute of Bankers, Bangladesh (IBB). He attended a number of training, workshop & conference at home. Mr. Mohammad Shahjahan started career as a Officer with ICB in 1987 and was posted in the Computer Division. He worked in Computer Division for more than 7 years. After that, he worked in ICB in different capacities at different times. He served the Loan Recovery & Inspection Division, Unit Sale Division and Transaction Division in the capacity of Principal Officer. As a Senior Principal Officer he worked in Lien Department, Central Accounts Division, Establishment Division, Law Division, Recovery & Inspection Division and ICB Branch Offices namely, Chittagong Branch and Rajshahi Branch. Mr. Mohammad Shahjahan got promotion in the rank of Assistant General Manager in 2007 and served the Public Issue Department, Lien & General Credit Department and also Recovery Department. The Corporation made him Deputy General Manager and posted in the Trustee Division and Fund Management Division respectively. 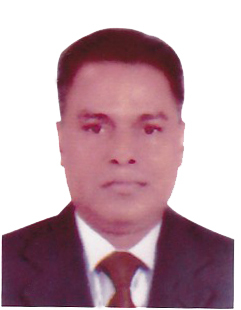 Mr. Mohammad Shahjahan acted as Regional Manager of ICB Sylhet zone during the year 2012 to 2014. Dr. Mohammed Helal Uddin obtained his Ph.D in Agricultural and Resource Economics from the University of Maryland at College Park, USA in 2008. Before that he completed M.S. in Agricultural and Resource Economics from the same institution in 2004. He completed his M.A. in Economics from the University of Florida at Gainesville, USA in 1999. He obtained B.S.S. (Hons.) and M.S.S. in Economics from the University of Dhaka in 1991 and 1992 respectively. 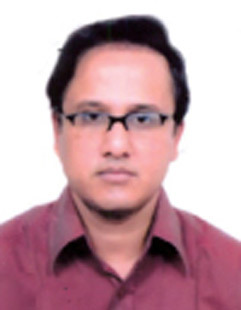 Dr. Mohammed Helal Uddin is an Associate Professor at the Department of Economics, University of Dhaka, Bangladesh. He started his teaching career as a lecturer at the Department of Economics, Shahjalal University of Science and Technology, Sylhet in May 1996. Dr. Helal continued his teaching profession there as an Assistant Professor until July 2002. After his PhD, Dr. Helal joined in the Department of Economics of Dhaka University in 2008. He served the Department as an Assistant Professor from July 2008 to May 2014. Then Dr. Helal has been promoted to Associate Professor and till now he is serving the department. Besides Dhaka University, Dr. Helal is currently working with the World Bank Group on Food Prices, Middlemen and Marketing Institutions. He worked at the World Bank head office, Washington D.C. from May 2006 to April 2008 on African Infrastructure. He worked as a Consultant of International Labour Organization (ILO), Food and Agriculture Organization (FAO) and World Food Programme (WFP) of the United Nations and as a Research Associate of Public Utility Research Center (PURC) of the University of Florida. Mr. Joarder Israil Hossain is the General Manager at the Governor's Secretariat, Bangladesh Bank. He passed B.S.S. (Hons) and M.S.S. in Economics from the University of Dhaka in 1983 and 1984 respectively. After that, he completed MBA in Management from the same University in 2007. He completed "DAIBB" (Diplomaed Associate of the Institute of Bankers, Bangladesh) from IBB (Institute of Bankers Bangladesh). Mr. Joarder Israil Hossain started his career in Bangladesh Bank as an Assistant Director. During his long career, he worked in Bangladesh Bank in different capacities at different times. He worked in the Agriculture Credit Department and Banking Regulations & Policy Department from 1988 to 1996 in the capacity of Assistant Director. Then he worked as a Deputy Director in the Banking Regulations & Policy Department and Department of Banking Inspection from 1996 to 2002. He worked as a Joint Director in the Human Resources Department from 2002 to 2007. He was Deputy General Manager of the same organization in the Department of Currency Management and Banking Regulations & Policy Department from 2007 to 2011. After that, he served the Bangladesh Bank Training Academy (BBTA), Financial Sector Support & Strategic Planning Department and as Currency Officer of the same organization in the capacity of General Manager. Mr. Yusuff Hasan, a retired faculty member of the Bangladesh Institute of Management (BIM), did his B.A. (Hons.) in Economics from the University of Dhaka, Bangladesh in 1972. He, then completed MBA, majoring in Finance from the Institute of Business Administration (IBA) of the same university in 1975. In the year 1987, he did MBA majoring in General Management, from the University of Toledo, Toledo, Ohio, USA under an IDA fellowship. 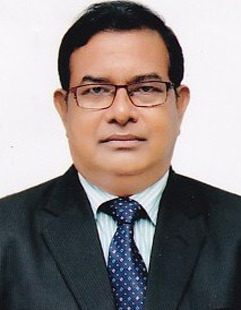 Mr. Yusuff Hasan has spent most of his productive life working (1980 to 2008) as a faculty member of the Bangladesh Institute of Management (BIM) formerly known as the Bangladesh Management Development Centre (BMDC). 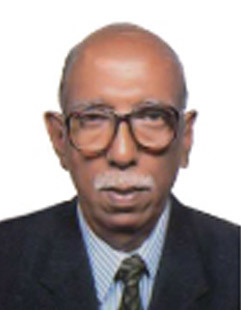 Prior to that he served as an executive in the Jamuna Oil Company Ltd. between 1975-1980. In his professional career, he has provided advisory services to different organizations such as Bangladesh Steel and Engineering Corporation, Bangladesh Jute Mills Corporation, Asian Development Bank, UNIDO, UNFPA, ADB, JICA, etc. Mr. Yusuff Hasan co-ordinated two international programmes, one being the Regional workshop on "Export Pricing, Costing and Budgeting" held in Dhaka between April 03-07, 1989 under ITC/GATT/UNDP Project RAS/86/019 titled "Strengthening Training Institutions for the Foreign Trade Sector", and the other being the "Regional Workshop on "Performance Contract" held in Dhaka between November 21 - 25, 1993 in collaboration with the Economic Relations Division, Ministry of Finance, Government of the People's Republic of Bangladesh, Institute of Public Enterprises, Hyderabad, India with the financial assistance of CFTC, Commonwealth Secretariat.